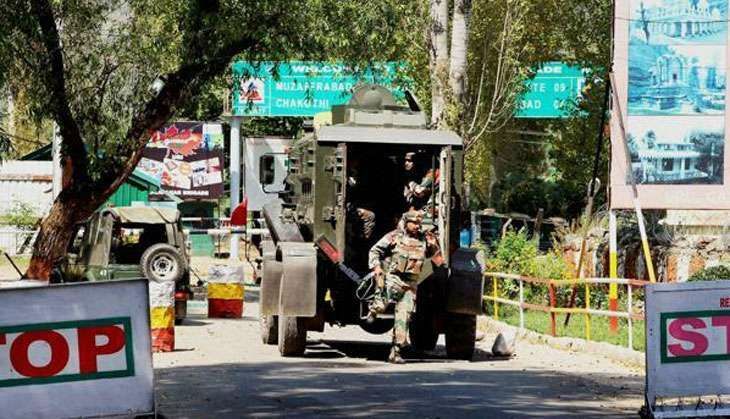 The four terrorists who stormed an army base in Uri sector on 21 September killing 18 soldiers belonged to Lashkar-e-Toiba (LeT) and managed to sneak in by cutting the perimeter fencing of the highly-guarded army installation at two places, investigations have shown. In an indication that the terrorists were well-versed with the layout of the Army base close to the Line of Control (LoC), the assailants locked the cooking room and store from outside to prevent the soldiers from leaving before setting them afire, sources privy to the probe said on 21 September. The investigators are not ruling out "insider help" to the terrorists in view of the precise nature of the actions undertaken by the intruders once inside the army base, the sources said, adding the attackers first cut the perimeter fencing at two places. After locking the cooking room and store, two of the terrorists started moving towards the officers quarters within the base but they were gunned down before they could inflict any further damage, they said. The two Global Positioning System (GPS) sets recovered from the slain militants were damaged during the attack and have been handed over to the NIA, which is probing the case. The four intruders, who had crossed in from Pakistan-occupied Kashmir (Pok) a day earlier, were affiliated to LeT as the terrorist module bore striking resemblance to the group from the same Pakistan-based terror outfit eliminated in Poonch on 11 September, the sources said. Director General Military Operations (DGMO) Lt Gen Ranbir Singh had told reporters hours after the attack that as per initial reports the slain terrorists belonged to Jaish-e- Mohammad(JeM), also a Pakistan-based terror outfit. "All four killed were foreign terrorists and had carried with them items which had Pakistani markings. Initial reports indicate that the slain terrorists belong to Jaish-E-Mohammed tanzeem," Lt Gen Singh had said. The terrorists both at Uri and Poonch were carrying small plastic bottles containing a concoction of petroleum jelly and gelatin which was used to set the soldiers' tents on fire, the sources said.